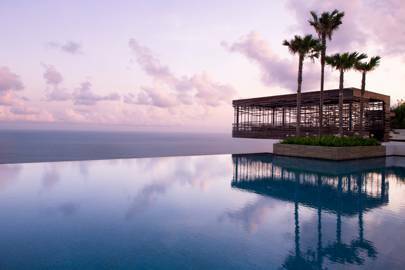 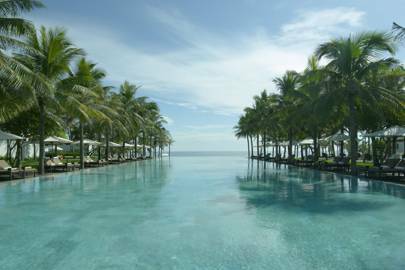 Asia is famous for its incredibly raw and natural landscapes, warm climate and luxury resorts, so we have put together a list of Asia's most beautiful pools. 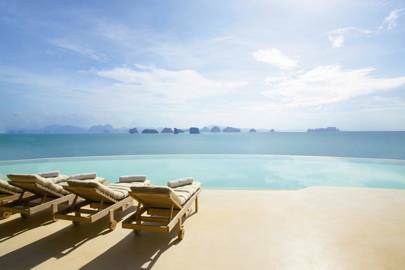 From iconic horizon-edge pools to private plunge pools admiring views. 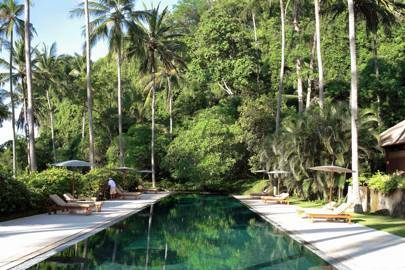 So pack a bag, we will see you there! 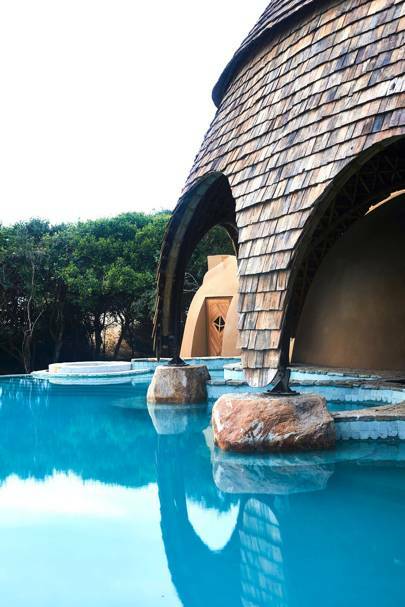 An architectural anomaly, Wild Coast Tented Lodge features 28 arching cocoon-like suites with freestanding copper bath tubs, serious bed linens and plunge pools that reflect the abundant nature in Yala National Park. 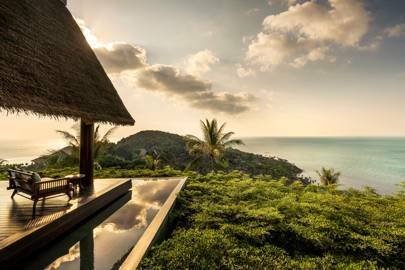 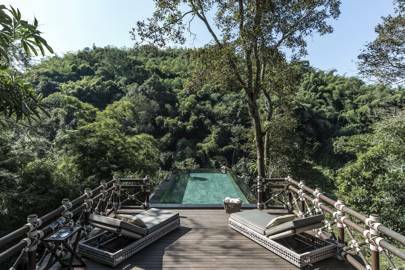 The private pool at Four Seasons' safari-style Explorer's Lodge in Thailand comes with completely amazing views of the surrounding jungle. 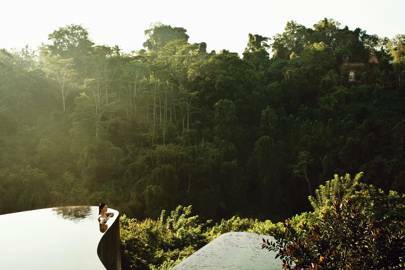 The tiered infinity pool at Hanging Gardens of Bali, set on top of a cliff and surrounded by rainforest. 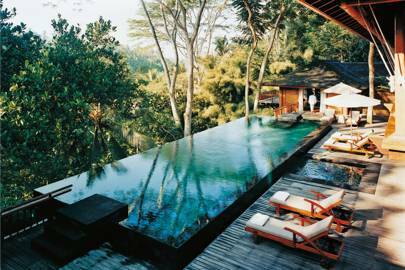 Every room in the hotel has its own infinity-edge pool with similarly verdant views. 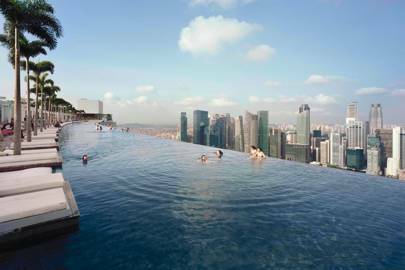 The famed rooftop infinity pool at the Gold-Listed Marina Bay Sands resort in Singapore is 150m long and set into a cantilevered platform overhanging the hotel. 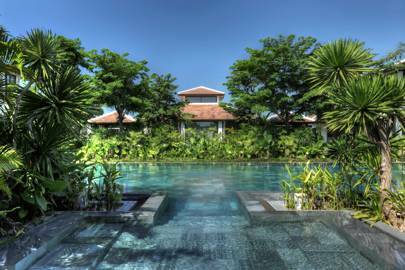 The main pool at Fusion Maia Resort, an all-inclusive spa and yoga retreat in Da Nang, on the central Vietnam coast. 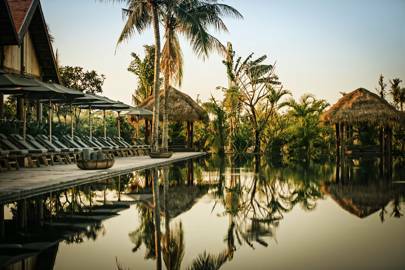 The pool at The Nam Hai on the edge of Ha My beach, near the old town of Hoi An, Vietnam. 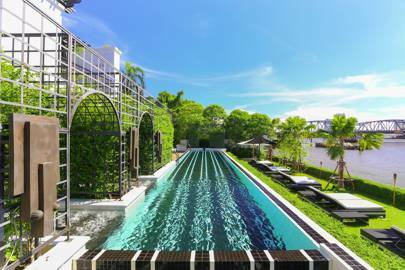 The riverside swimming pool at elegant urban oasis The Siam hotel in Bangkok, Thailand, which overlooks the Chao Phraya. 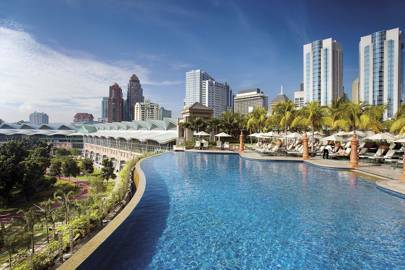 The roof-terrace pool at Mandarin Oriental Kuala Lumpur, at the foot of the city's iconic Petronas Towers, overlooks the KL skyline and has one of the best bars in the city for outdoor cocktails.